This years MBCI team is relatively young and will rely heavily on Grade 12 H.L Boge to help provide leadership on the court. 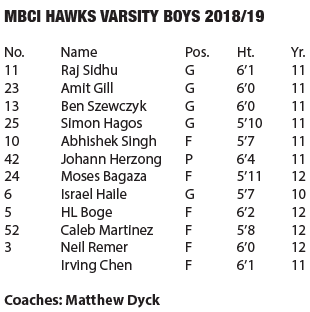 Grade 11’s Raj Sidhu and Ben Szewcyk are two shooters that can fill it up in a hurry while guard Amit Gill and Grade 10 Israel Haile will provide much of the creativity. 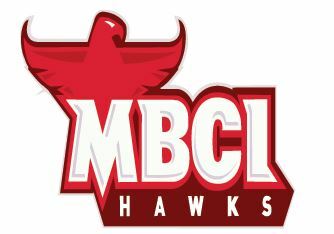 MBCI will look to continue the tradition of up tempo teams of years past. Without a particular star, offensively the Hawks will look to use ball and player movement to create opportunities for the five on the floor. Defensively they look to be solid. They have the ability to create turnovers when the opportunity presents itself. 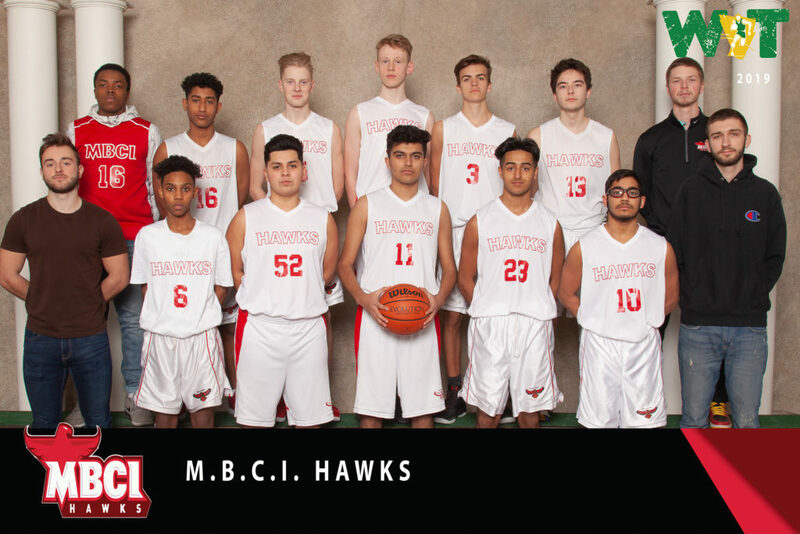 The Hawks look to challenge for the KPAC Tier 2 championship, while gaining invaluable experience in the various tournaments they participate in.